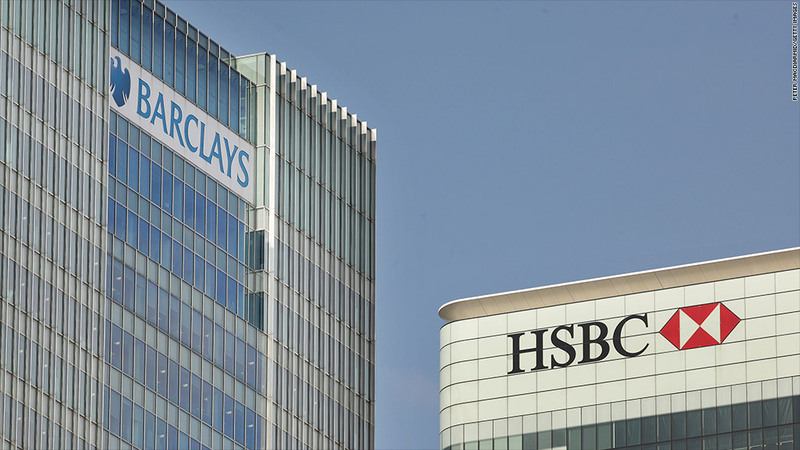 U.K. bankers' bonuses will be capped by new EU rules. Europe is planning to cap bankers' bonuses in a bid to curb the kind of reckless risk taking that led to the financial crisis and huge tax-payer funded bailouts. The measure, which could take effect as early as January 2014, will limit bonuses to the level of annual salary, or twice salary given the approval of a majority of shareholders. The cap will apply globally to European Union banks, and to international banks operating within the EU. "This is the objective of the cap, to stop short term risk taking," European Commissioner Michel Barnier said at a news conference. The cap is part of a broader package of rules requiring banks to hold higher amounts of capital to protect them from future shocks, set aside more funds to ensure liquidity in times of crisis and to be more transparent about their businesses. "This overhaul of EU banking rules will make sure that banks in the future have enough capital, both in terms of quality and quantity to withstand shocks," said Irish finance minister Michael Noonan, who helped broker the deal between representatives of EU states and the European Parliament. "This will ensure that taxpayers across Europe are protected into the future." A majority of the 27 European Union states must back the provisional agreement for it to become law and further changes may yet be negotiated. The U.K. has resisted the cap on bonuses, worried that it may drive bankers out of London, Europe's financial capital. Banks have already been forced to change the way they structure bonuses, paying them out over a longer period of time and adding claw-back arrangements. Some responded by increasing base pay, saying they risked losing top performers. But this is the first EU cap on bonus size and reflects political frustration that big banks continue to pay millions to some employees while many incomes are dropping as governments and firms are forced to tighten their belts. A series of high-profile scandals -- including market rigging, money laundering and mis-selling of products -- has fueled public anger at the apparent lack of restraint in setting bonuses for top bankers. Businesses argue that markets should be allowed to determine levels of pay, and that companies should be treated no differently than the movie industry or sports clubs that pay top dollar for top talent. The Confederation of British Industry, a business lobby group, has warned that an EU bonus cap could translate into higher levels of base pay, weakening the link between performance and reward -- the opposite of the desired effect. The CBI has also warned that capping the variable element of bankers' pay would limit banks' ability to reduce costs in response to weaker markets. But the new rules may do little more than reflect the reality for many now working in financial services. Bonuses have fallen due to a sharp drop in activity and employment. Related: Wall Street CEOs: Who's paid the most? The Center for Economics and Business Research estimates that bonuses in London totaled about £1.6 billion in the latest round, down from £11.6 billion in 2008. Wall Street bonuses have also fallen since the bumper years of 2008 and 2009, when New York bankers enjoyed a share of $22 billion each year, but they are rising again. Average cash bonuses rose by 9% last year to nearly $122,000, and the total pot was up 8% at $20 billion.